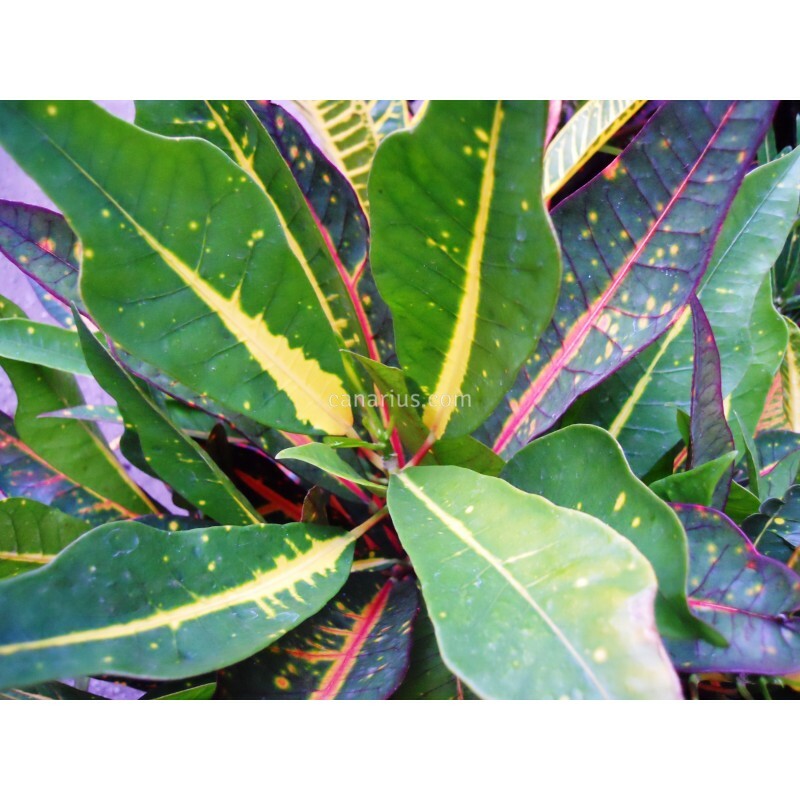 This oak-leaf croton developed in Italy has green and red leaves with yellow veins and occasional spots. It has an elegant compact bushy growth habit. 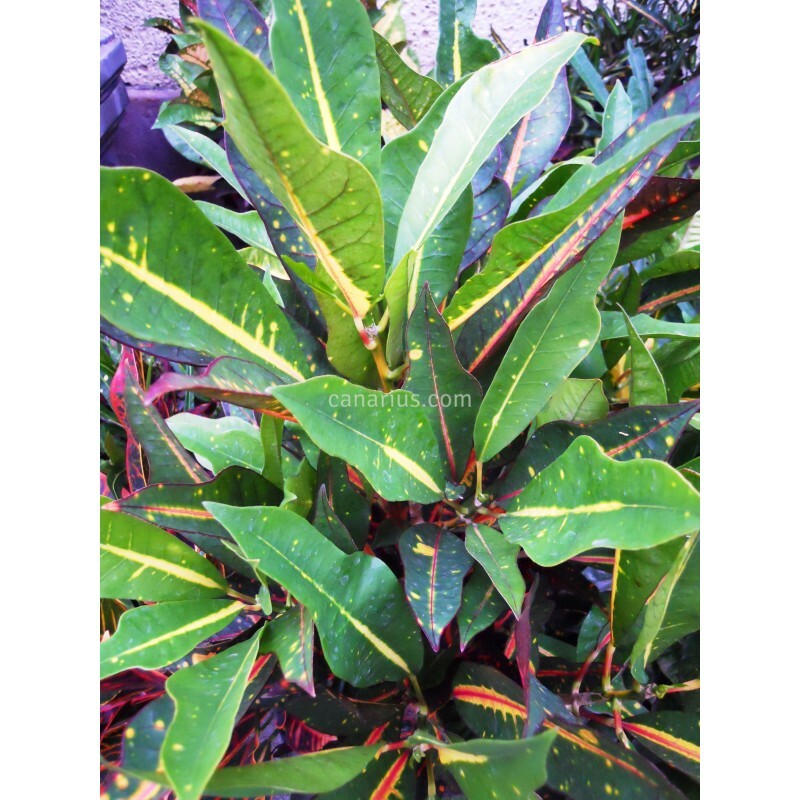 This oak-leaf croton has green and red leaves with yellow veins and occasional spots. It has an elegant compact bushy growth habit. Some synonyms of AFD #5 are Karen, Fantasy and Fantasia. AFD means "Azienda Floreale Diem", an Italian nursery that obtained this cultivar as a hybrid back in the 1970's. 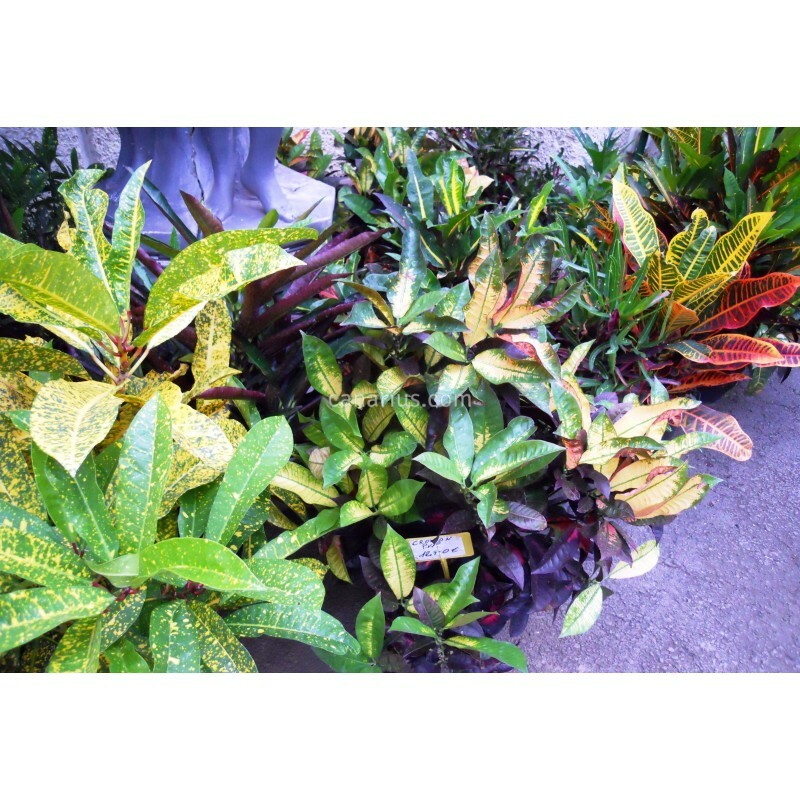 Some of their crotons include: AFD 5, AFD 6, AFD 7, AFD 8, AFD 9, AFD 10, Excellent, Norma and Petra. This company belonged to Wolfgang Bock and was based in Camporosso, Liguria, by the boundary with the French Riviera.